Orthodontics is a specialty of dentistry dedicated to moving teeth and aligning jaws. Orthodontists are dental specialists with advanced training focusing on straightening teeth and aligning your bite. Various forms of braces and other dental appliances are used to align the teeth to improve bites and smiles. The American Association of Orthodontics recommends an initial visit as early as age 7. The goal of orthodontic treatment is to create a beautiful smile and a good bite – meaning straight teeth that mesh well with the teeth in the opposite jaw and look great. 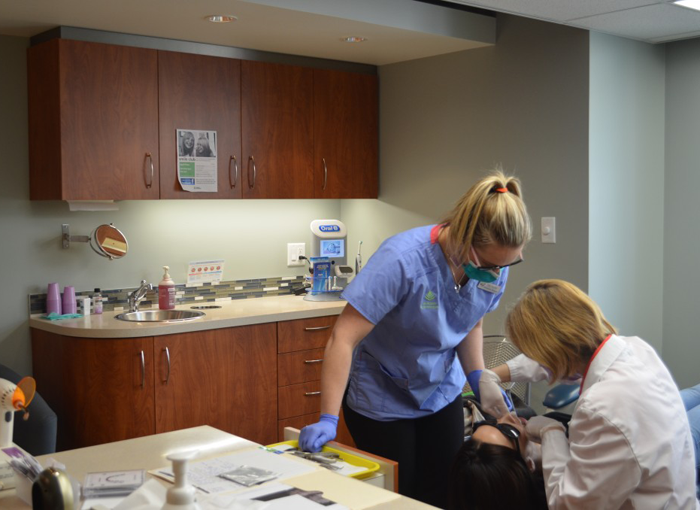 We also work with general dentists and other dental specialists to coordinate treatments and create fully corrected bites and smiles. • Orthodontic treatment can make it easier for you to bite, chew and speak. • Improper bites can cause stress on joints and muscles and abnormal wear of teeth. • Protrusive teeth are more susceptible to trauma. • Crooked teeth are difficult to clean and may lead to cavities and gum disease. Orthodontic treatment is a smart investment for you and your family.